eWAVE5101 100G transponder is developed for high capacity and long distance optical transport solutions. It is designed to support various 100G client services including 100GBASE-LR4, 100GBASE-ER4 and 100GBASE-SR10/SR4 and seamlessly interface with any third party equipment. 40G traffics are also supported, such as 40GBASE-LR4, 40GBASE-ER4. 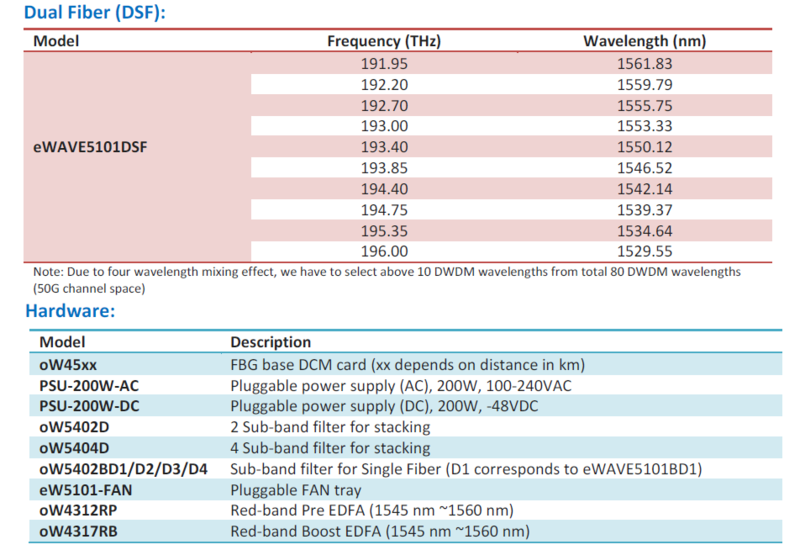 The concept of developing eWAVE5101 is to provide optional way for rolling 100G services with cost effective solution. It is designed to meet the market demands for low power consumption and rack space saving thus reducing the overall CAPEX and OPEX. 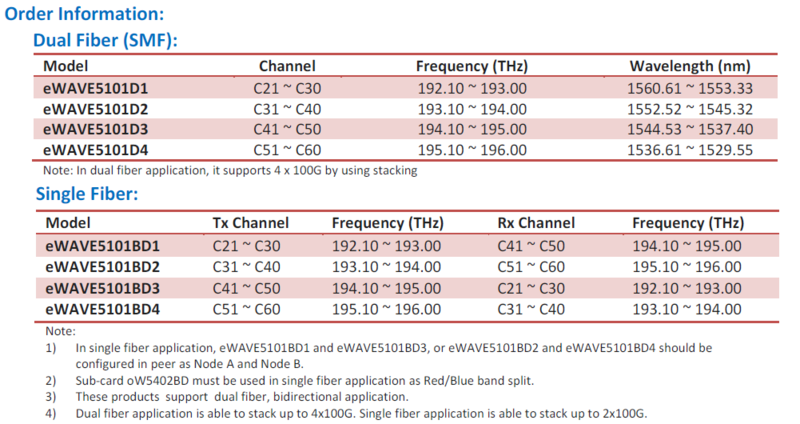 eWAVE5101 provides an all-in-one solution, which has all pluggable function cards (EDFA, DCM) integrated in 1RU chassis. eWAVE5101 can simply plug-play for 80 km box to box transmission without any EDFAs. With EDFA and DCM cards plugged into the same 1RU chassis, eWAVE5101 can extend up to 160 km transmission. In addition, eWAVE5101 has pluggable Simple Management Card (SMC) which monitors operation and controls the configuration of the unit without accessing the management port. Highest 100G density feature set in the market.